What is customization? I asked myself this question the other day when I was told by a customer that a competitor said that Xybix does not do anything custom. Whoa--that was a surprise to hear, as we provide custom furniture all of the time! 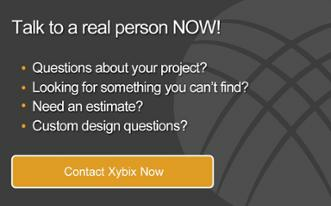 The big question that should be addressed is how do you, the dispatcher, view a custom product? To answer this question clearly, I have broken the concept of customization down into two main categories to help you better understand what goes into a custom product when designing or updating a new room. Can the furniture company fit the consoles into your room with all of your equipment requirements? This requires a talented designer to put the puzzle together. For example, can the furniture company work around columns, fill in that weird corner, accommodate a curved wall, etc. This requires that they make their own components and finished product, and ideally, they should have the equipment to cut out the perfect custom size. Do they have more than one size of console? Believe it or not, some of the console companies only have one size of console, and then they fill in around the room with the less expensive side work surfaces. This can be a problem if, for example, you have six monitors on your dispatcher station and only four on your call-taker station, as you’d want to get two different sizes of stations. Can the company easily work with smaller centers? Smaller centers are even more difficult to fit consoles into, increasing the need for customization. The dispatcher in a small center often wears all hats. For a console manufacturer this means all of the stations have the same equipment, but often have to fit in different size spaces in the room. Fitting the monitors to the console will determine the size of the station in the smaller room. This requires that the side surfaces are custom-made just like the main console. (We have actually had to design a surface to fit a round column to get everything to fit in the room.) Always ask about what options are available to you during the design phase. 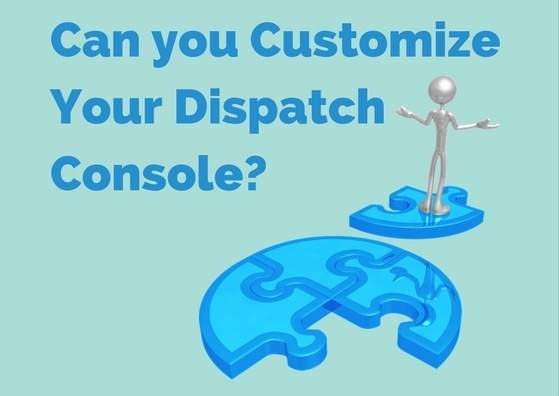 Can the console manufacturer customize in order to fit your specific equipment needs? To find out, you’ll need to ask specific questions. For example, can the company’s system easily add or subtract monitors? If you upgrade to a 42” monitor, will the system work? What about an additional computer? Can it be customized to fit your equipment? Can your storage needs be accommodated? Do you still have warrant cards? Do you need to store the medical flip charts? Customization like this should be easy for the console manufacturer to design and build around. That being said, most will not volunteer to help with these things unless they have the capability to customize their consoles. To sum it up, be sure to ask any console manufacturers that you talk to if they can customize your product. Asking the right questions from the start will help you to get the most out of shopping for a new, quality console. Be specific; don’t just ask the salesperson if they provide customization. Instead, ask them if they can do a specific custom piece and highlight some of the key areas you need specially made. Good luck, and happy console shopping!